For many non-immigrants, the process of becoming an immigrant or U.S. citizen is a very daunting but rewarding task. There are several ways to become a Lawful Permanent Resident (LPR) or U.S. Citizen, but right now, let us address just one: Adjustment of Status. Adjustment of Status, or AOS as it is frequently known as, is when the USCIS (United States Customs and Immigrations Service) alters the non-immigrant status of a foreign national (intending immigrant or beneficiary) present in the U.S., to immigrant status. The purpose of this is to obtain permanent resident status in the U.S. There are several different reasons a foreign national can apply for adjustment of status. Some of those being marriage to a U.S. citizen (the most common) or employment-based reasons. In order to be eligible for Adjustment of Status, the intending immigrant must be present in the U.S. on the day the application is filed with the USCIS. The foreign national is not allowed to leave the U.S. while their application is pending without the proper travel permissions (a valid visa allowing travel, or advance parole which will be discussed later), otherwise, their application will be deemed ‘abandoned’, meaning they will not be able to file the application. A foreign national can only apply for adjustment of status if they have maintained a valid status on their visa since they came to the U.S. There are, however exceptions to this: Immediate relatives of U.S. citizens (such as spouses and unmarried children under 21 years of age) can adjust their status with the foreign national as derivative beneficiaries. This means that they do not have to file separate petitions or separate adjustments applications. An exception to the derivative status rule is when the foreign national seeks to adjust their status via marriage to a U.S. citizen. Then no derivative status for immediate relatives apply. If the foreign national’s children are under the age of 18 at the time that the marriage to a U.S. citizen occurs they can be sponsored by the U.S. citizen but must have separate petitions. Along with the above requirements, the foreign national also must be able to prove that they were lawfully admitted or paroled into the U.S. after inspection by an immigrations officer. The benefits to adjustment of status cases are that the processing times are shorter and visas are immediately available to the foreign national in the cases of marriage or some employment-based cases. Also employment authorization may be obtained while the application is pending and can be renewed if it’s pending too long. The foreign national can also travel outside the U.S. while the application is pending via the advance parole document. If the foreign national is seeing adjustment of status in the U.S., they must be admissible and not subject to removal (deportation). Some of the grounds for inadmissibility include: communicable diseases, drugs, terrorist activity, fraudulent or willful misrepresentation of a fact to obtain a visa or immigration benefit, among others. Waivers to these grounds of inadmissibility can be made available to the foreign national under certain circumstances. 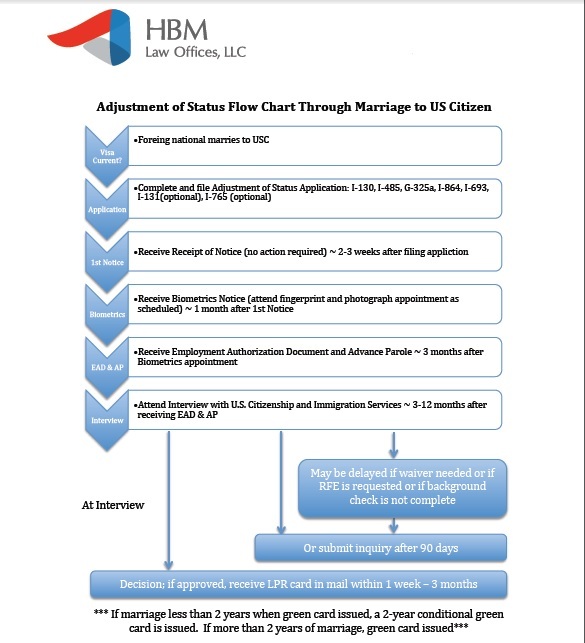 Next, if the USCIS deems the adjustment of status application approved, if warranted, there will be an interview (almost always in marriage cases and some in employment-based). Attorneys can be present at these interviews and the purpose of them is to make sure that the immigrations officer finds their case and documents as credible. We at HBM Law Offices have filed dozens of successful Adjustment of Status petitions. To learn more about this process or discuss your eligibility, call us to schedule a complimentary consultation with our office. Welcome to the HBM Law team! 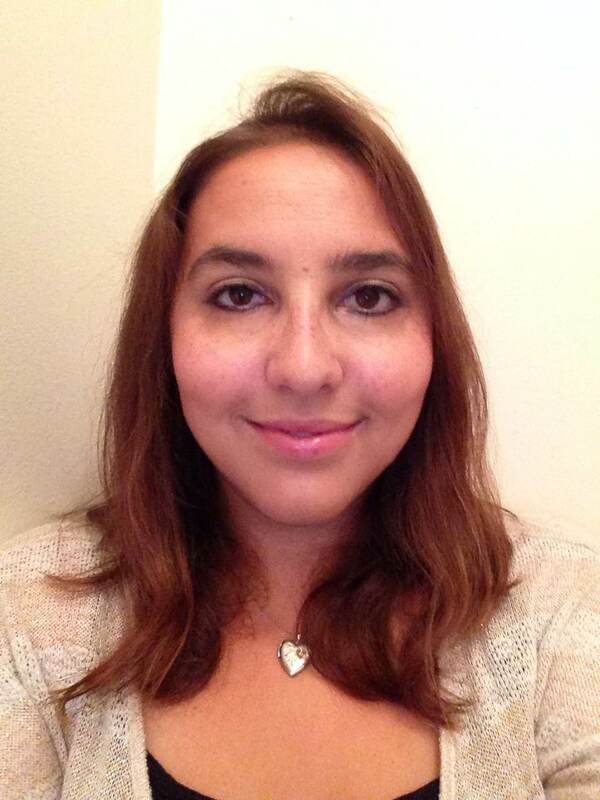 Chey Vargas serves as the immigration paralegal at HBM Law Offices, LLC in West Des Moines, Iowa. She is a first generation immigrant and appreciates the opportunity to help fellow immigrants under the guidance of Attorney Himani Bhardwaj. She is a native of Iowa and holds an Associate degree in Legal Studies from Kaplan University and is pursuing her Bachelor’s Degree in Paralegal Studies from Liberty University. She serves as a mentor for other students in the program. Chey is customer service focused, diligent, and provides indispensable legal support to the law firm. In her spare time, she enjoys spending time with her three children and husband. USCIS received 172,500 petitions for FY2015 and more than 20,000 petitions filed towards the Masters quota cap. As predicted, with an improving economy, the demand for foreign talent has also increased. USCIS conducted a computer-generated “lottery” to randomly select cap-subject cases received between April 1, 2014 and April 7, 2014. The first lottery they ran was for the advanced degree quota to select 20,000 petitions. Next, a lottery was conducted combining the remaining advance degree cap-subject petitions and the regular cap-subject petitions to select a total of 65,000 petitions. If your petition is selected in the advance degree lottery and was filed with premium processing, USCIS will issue electronic receipts to the attorney/law firm on file and assign a case number to the petition. Lottery results for regular cap-subject petitions will be notified via mail. If your petition is not selected in the lottery, USCIS will return the H-1B petitions with the filing fees to the petitioning employer. How soon you will learn whether your petition was selected in the lottery? A majority of the lottery results are notified early on but some petitions (also selected under the lottery) are set aside as “stand by” by USCIS. The stand by petitions replace petitions that are denied, withdrawn, or found ineligible. What this means is that your attorney could receive a notification that your H-1B petition was selected several weeks after the lottery has been conducted. USCIS will first adjudicate H-1B petitions that elected and paid for premium processing set to begin no later than April 28th. There are two service centers that review H-1B petitions: California Service Center and Vermont Service Center. It is very important to stay in touch with the HR department of the petitioning employer to get the latest information on your petition. This information is for general overview and should not be construed as legal advice. Contact attorney Himani Bhardwaj of HBM Law Offices, LLC about specifics of H-1B process.